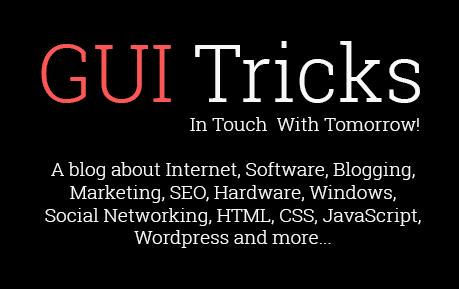 7 Things You Must Know To Increase Your Sales | GUI Tricks - In Touch With Tomorrow! 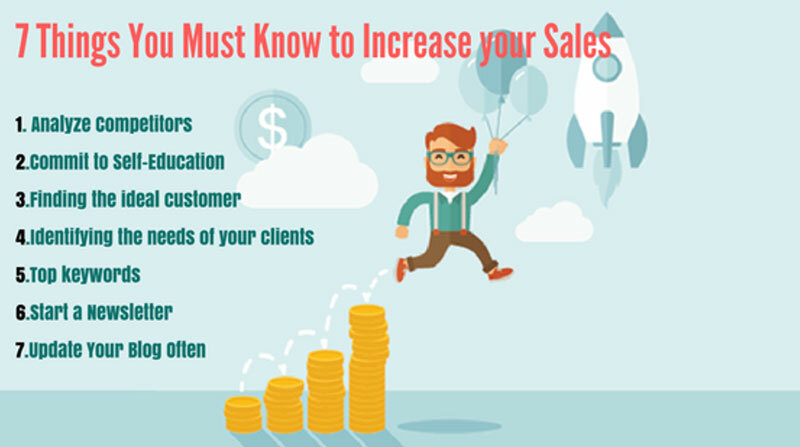 7 Things You Must Know To Increase Your Sales - GUI Tricks - In Touch With Tomorrow! Are you ready to analyze how much your business is worth? You can take some simple steps to increase your sales and these steps will generate more quality leads for your business. To flourish in business today, you need to think about your business and have good planning skills. To be successful, you don’t forget to learn about your competitor sites. Also, it is important to promote your product and services effectively and offer good customer service will help you to generate sales. One of the most important methods of making your business more successful is to make your business with targeted customers and also need to do the below 7 important things. Many businesses have come to success because of Competitors Analysis. As a marketer, we all need to know about our competitors and it is the understanding of the work methods, strengths and weakness of your competitors. There are some tools to help you to determine or tracking your competitors’ works and it shows the information about incoming traffic, their position in search engine ranking result of the main keywords, social mentions and everything else they do to boost business. Competition breeds the best result and analyzing competitor websites can easily give you an idea about your own web marketing. The most important thing you need to remember is that there are no goals you can't achieve if you're committed enough to self-education. I know everyone is talented and learning every day. If you expect to gain maximum success and happiness with your business traffic and sales then you should spend 6 hours a week on market research and competitor analysis. Now you can decide a goal and you can make a plan to accomplish your goals, it gives you inner satisfaction and gives you successful marketing results. Identifying your targeted customer is the most important elements of a marketing strategy. Build a solid connection with your prospective customers brings clarity to your marketing efforts which ultimately lead to a more profitable business. Reach the right customers at the right time are the key to the success of a business. Connect with your targeted customers by sharing your products and service or things going on in your business world. You should keep in mind without a targeted approach, your sales efforts are left down. Focus on your customer services, do the work to reach them, and stay on their radar. Identifying customer needs is crucial to growing your sales. Understanding customer needs helps to clear marketing communications, products choice, and everything and it is the right communication channel. One of the most important aspects of running any business is to have a clear vision of what you want our customers to be like. The customers don’t care about your products and services they always care about their final results. Take a look at your analysis and use the map to understand how your visitors interact with your sites. So care about their needs and make them happy! If you want to get on the first page of Google, then you should optimize your website’s searchability. In such a competitive e-commerce environment, getting peoples to come to your site is very hard. But it’s necessary to understand the needs and demands of your customers and to find most searched keywords to be successful. After finding the keywords figure out how to integrate them into your website and online campaigns. This is the goal of getting visitors to your websites it will help you to improve search engine rankings. Newsletter is a smart and effective method of communicating with your audience. The Newsletter will give you the opportunity to improve appreciation and understanding of your business and services. Publishing a newsletter generates more customers and it’s a powerful tool for selling your products and promotional emails. When you have an engaged audience then starting a newsletter is the best way to drive loyal traffic to your website. To encourage readers to find out more, including links to more detailed information on your website. One of the easiest ways to grow your business sales is to create simple, attractive and well-written blogs with unique content and post it on online sites. Well-placed blogs can make all the difference, if you update more blog posts to attract new readers then you will get more visitors. 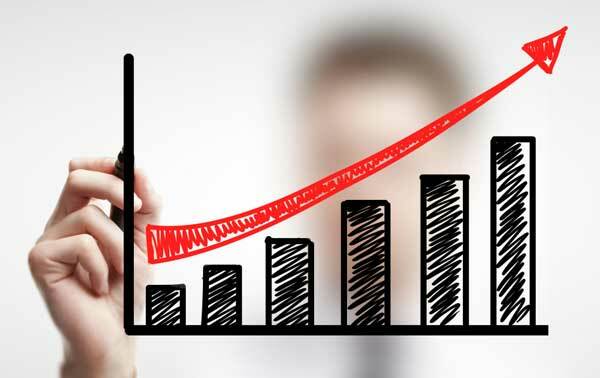 Grow the volume of content of your blog will help to improve your search engine ranking. The most successful content is the kind that meets a specific need. As a blogger, you should think about headlines, the headlines are powerful for blogging and the most creative and amazing headlines will generate more traffic. Start to drive targeted traffic from search engine with blogging and grow your readership faster. In this post, I explain seven things to Increase your Sales, I hope you understand all the points I explained. If you do such things you can see the result and that will help you to form a marketing strategy. You need to work on improving sales and that will make your audience, so build the new audience with these tips and look to run your business sales. Once you have completed these steps, you will get an amazing output and it will become much easier to close more deals. But it’s never too late, right? Let’s set the wheels in motion! Do the right things in the right way and right time!! I am Theo Lucas a creative Content Marketer at eGlobeData, a business organization providing mailing databases based on industries. My passion for helping people for all aspects of online marketing flows through in the business industries..